Ohr BeOdessa organization seeks to bring Jewish siblings taken from their mother in Ukraine for neglect for adoption in Israel. Rabbi Shimshon Kaminer of Beit Shemesh is no stranger to stories of suffering in his work with the Ohr BeOdessa, an organization which aids Jewish orphans in the Ukraine. One case, however, which was brought to his attention two years ago, deeply disturbed him. A young Jewish woman living in Odessa had her daughter taken away by the government due to severe child neglect. The girl, Avigayil (also known as Katya), was passed from orphanage to orphanage. Meanwhile, the mother had another child, a boy named Refael. It was not long before Refael was also taken away due to abuse and neglect. The four year old, who has never been to school, is now living with an extremely poor Christian family. Moved and haunted by Avigayil & Refael’s story, Rabbi Kaminer has begun his personal campaign to bring the two siblings back together, and to bring them to Israel to raise them as his own. If the adoption could be completed, which at this point is only a matter of finances, the two orphans could live in a warm, happy Jewish atmosphere with the rest of the Kaminer children as siblings. This would be a far cry from the abuse, poverty, and neglect that they have endured thus far. 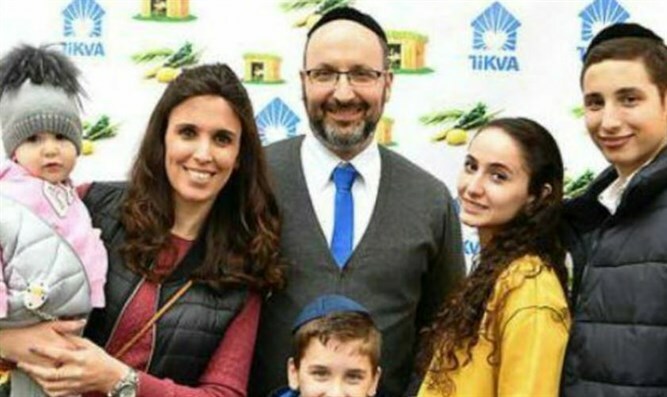 At this point the only thing stopping Rabbi & Rebbetzin is the money needed -- for flying the children to Israel, completing the adoption process, and making sure the children have everything else they need to heal.